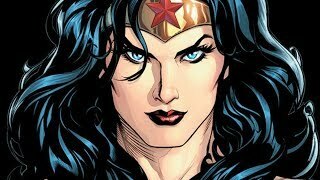 DC ComicsIf youre a long time comic book reader, the chances are that quite a few of your friends, as newcomers to the genre (no doubt attracted by the big budget escapades of this summers Hollywood heroes), will be seeking you out and requesting a company-specific reading list or two. Thats fine, great even. The more the merrier, we say. ...And you wont mind at all, will you? Youll give them the usual Marvel or DC lists, the pinnacles, the paragons and the prize-winners, the ones that we all knew about and cherished for decades before the beautiful people finally took an interest. Youll go out of your way to recommend the books that made you proud to read comics in the first place. In so doing, youll be hopeful that, if your friends manage to read or obtain even one masterpiece from your careful selection, their personal library will be all the better for it and they might, just might, become a regular comics reader. If they ask about DC (and were including the Vertigo imprint as well here), youll tell them to go in search of the undisputed classics like Sandman, Watchmen, V For Vendetta, The Death of Superman, All Star Superman and Batman books like The Killing Joke, The Long Halloween, Arkham Asylum, Year One and, of course, the untouchable Dark Knight Returns. ...As well you should. In fact, those are the very books that no less an expert than DC comics itself likes to recommend at regular intervals. ...And with good reason, every single volume of every single book listed above is a stone cold classic; absolutely 100% perfect. ...But what of the (many) other great works in DCs archive? The books that are just as classic as those suggested above, but, for one reason or another, are slightly less celebrated? Also, what if you arent a long time fan? What if you happen to be a newcomer to this wonderful art form that we call comics? Dont worry, because here, well be suggesting 10 DC graphic novels for new fans to try out (once theyve checked out the more obvious ones, of course). If you yourself are a long time fan, it is doubtful that youll find anything here that you havent already read, but if you are new to the comics fold, then we guarantee that any one of the following selections will delight and entertain you in equal measure. Either way, we hope you enjoy the list! PS - most of these stories are available in multiple re-printings and volumes, so bear that in mind when reading. In the world of comics, one collection rarely constitutes an epic. Sometimes, the only thing more epic, operatic and controversial than a major DC event is the Bible itself. This book uses the language and tone of the latter to embellish the power and grandeur of the former. It is a bit like Crisis on Infinite Earths meeting Days of Future Past...and causing an implosion of the universe in the process. ...To a soundtrack of Wagner. Written by Mark Waid, (a man who remains one of superhero comics true geniuses) and beautifully painted by artist extraordinaire Alex Ross, (who, in addition to comics work has done game covers for the Assassins Creed series, as well as artwork for Rolling Stone magazine) this book is nothing short of a sight to behold. Even a quick flick through its majestically rendered battle scenes should be enough to leave you thoroughly awestruck. Critics often pan the stiffness of painted figures in comics (and with some justification), but not so in this volume. Here, Alex Ross allows his characters a chance to breathe and move with an almost filmic grace. In the books quieter, more sombre moments, the characters act wonderfully, looking real enough that certain scenes could almost be the work of a photo journalist capturing an intimate portrait of this twilight of the superheroes. Ross did this by casting the characters in the book with models, people that he sketched, then painted, in lifelike poses. This also means that when Superman flies or The Flash breaks the sound barrier, it seems plausible, possible and even real. You cannot ask for a greater gift than that. Of course, Kingdom Come has its critics; many find its themes too broad, its attacks on 1990s comic trends too blatant and its depiction of superheroes too bleak. However, as a last word of sorts on superhero fiction, it is right up there with Watchmen in terms of scale and subject. There are parts that will wow you with their sheer moxie, parts that will make you cry (Captain Marvels noble sacrifice, for one) and parts that set the pace for the 2000s, and beyond, in comics. Witness an adult Damien Wayne (under a different name, of course) finally make peace with his estranged father, as well as Batman, Incs army of Bat-Bots, the first appearance of Red Robin, Superman and Wonder Woman getting it on and, (it has to be said) the original inspiration for Marvels Civil War storyline, amongst a great deal of other firsts. In short, this book is beautiful, elegiac and a work of art. 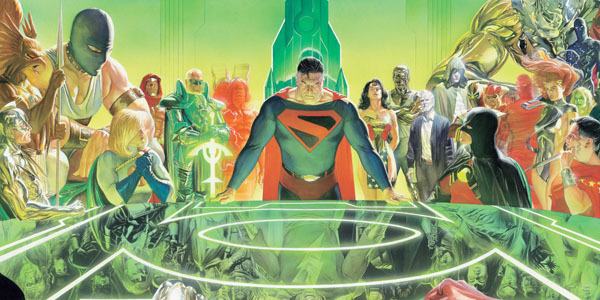 By positioning DCs pantheon of superheroes as flawed, modern day Gods (and using Biblical prose to do it), Kingdom Come became arguably the most mature and considered superhero comic of the 1990s and it remains a blisteringly good read to this day.